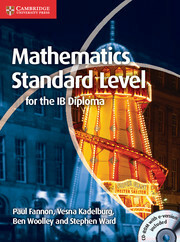 This title forms part of the completely new Mathematics for the IB Diploma series. 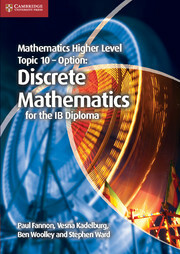 This title forms part of the completely new Mathematics for the IB Diploma series. 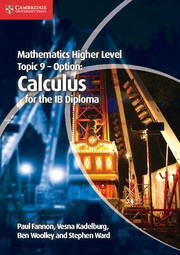 This highly illustrated book covers topic 9 of the IB Diploma Higher Level Mathematics syllabus, the optional topic Calculus. 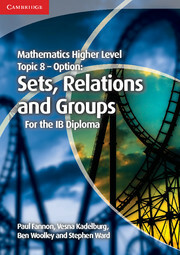 It is also for use with the further mathematics course.Based on the new group 5 aims, the progressive approach encourages cumulative learning. 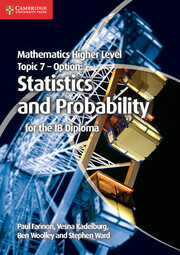 Features include: a dedicated chapter exclusively for mixed examination practice; plenty of worked examples; questions colour-coded according to grade; exam-style questions; feature boxes throughout of exam hints and tips.Mathematics Higher Level Topic 9 - Option: Calculus is a fantastic guide to the material in this option, no matter which book is being used to cover the core material. feature boxes of hints and tips. 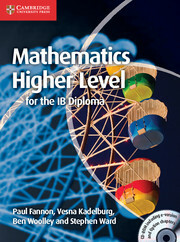 Written to specifically cover the new IB Higher Level option in Calculus, it is a fantastic guide to the material in this option, no matter which book is being used to cover the core material.